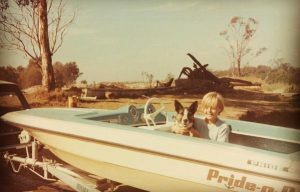 The Noakes Foundation is excited to announce a new partnership with marathon water-skier Alex Luther, who is challenging endurance sports nutrition norms by eating a low carbohydrate, high fat diet in his attempt to retrace the water-skiing world record set by his late Grandfather, Harry Luther. A courageous and proud grandson, Alex’s pursuit has interwoven an emotional exploration of his own family heritage with a test of his physical capabilities. 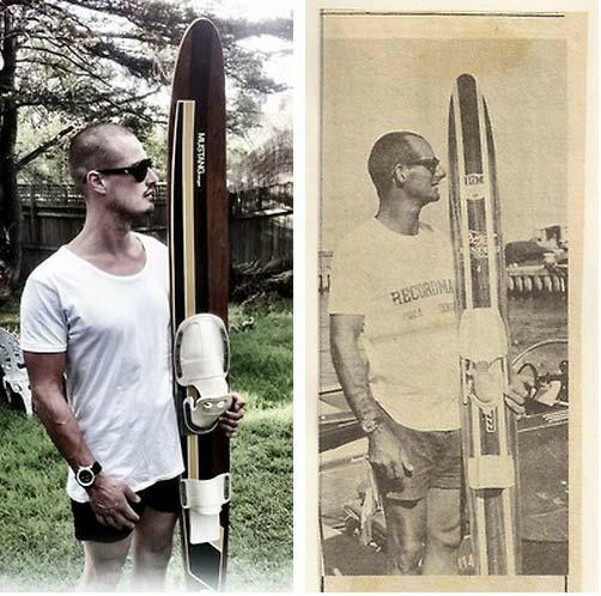 His nutritional knowledge has broadened as he works to achieve a “healthy lifestyle that compliments marathon waterskiing.” In June 2018, Alex will arrive on the shores of Italy to fulfil the legacy left by his legendary grandfather. 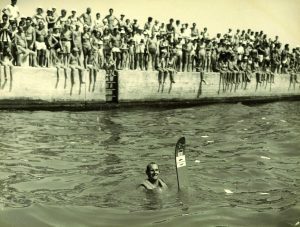 In 1970, Harry Luther water skied from the tip of Africa, around the coasts of Spain, France, Monaco, Croatia, and Italy – a total of 5,010 kilometres which he completed in just 10 days, 5 hours and 36 minutes – setting a world record that remains unbroken to this day. On arrival in Italy, the world champion was given the affectionate name of ‘Canguro’ – translated to Kangaroo, reflecting Harry’s Australian heritage. Unbeknownst to Harry, Chasing Canguro – the name given to Alex’s present journey – was born. Alex – who is in the midst of a gruelling training routine – approached The Noakes Foundation for nutritional guidance after being inspired by Cereal Killers 1 & 2 (Run on Fat). The Foundation is known for forming formidable partnerships with other endurance athletes, such as the crew of the Vulcan Sailing Team who competed in the Cape to Rio Yacht Race earlier this year as a fat adapted crew. An endurance athlete on a LCHF diet, like Alex, uses ketones for energy. The LCHF diet minimizes free radical damage, and the potent anti-inflammatory effects of ketones mean that Alex will recover faster and burn more fat than athletes on a high carbohydrate diet. By choosing a LCHF diet, Alex is protecting his body from the pro-inflammatory effects of high amounts of carbohydrate, not to mention minimizing the associated disease risk factors! The high nutrient density of the LCHF diet delivers abundantly more vitamins, minerals, antioxidants and essential fatty acids than the standard, high carbohydrate diet. Ketones are burned efficiently by the brain, heart and skeletal muscles. As a LCHF endurance athlete, Alex escapes sugar dependency and instead becomes fat-adapted, optimising his hormones, moderating his blood glucose levels and improving his insulin sensitivity. Fat becomes Alex’s fuel. During this challenge, nutrition is a priority for Alex, who commented that his “body knows as soon as it hasn’t had the right fuel.” Alex hopes that, with the support of The Noakes Foundation, he can achieve a healthy lifestyle that compliments his marathon water-skiing and will “set the foundation for the later stages” of his life. One of the Foundation’s dieticians is already assisting Alex on a personalised LCHF protocol. The goal is to devise a well-formulated LCHF diet that matches his training schedule and maintains a fat-burning metabolism before and during his world-record attempt. Data, such as heart rate, distance and elevation travelled, speed and calories burned, have been collected in order to monitor the intensity of his training sessions. Alex’s ketones will also be monitored, and initially, his meals will be tracked. With an optimal nutrition protocol, Alex will be a fat-burning machine! During the actual marathon, Alex foresees his body will require approximately 3500 to 4000 calories during an average leg. He will be water-skiing two legs per day – the average distance of each leg is 250km and he will travel at an average speed of 100km per hour! Foodstuffs being eaten during the marathon must be compatible with the storage facilities available to Alex on board the boat. All of these factors are being integrated into a personalised nutrition protocol for him, proudly supported by The Noakes Foundation. The Noakes Foundation looks forward to working closely with Alex and Chasing Canguro and wishes him the best of luck on his LCHF world-record breaking attempt next year in June! The Foundation admires Alex’s commitment to following in the footsteps of his Grandfather, his intense and well-crafted training regimes, and, of course, his passion for LCHF! We hope his journey towards his world-record attempt will inspire other athletes to question mainstream nutrition advice and choose to engage in a healthy, LCHF lifestyle. 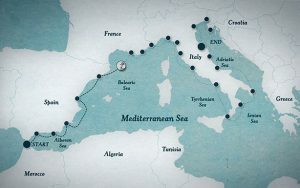 Alex has been documenting his inspirational progress on his website, http://www.chasingcanguro.com.au/about/index.html. His Facebook page can be accessed at https://www.facebook.com/ChasingCanguro/.